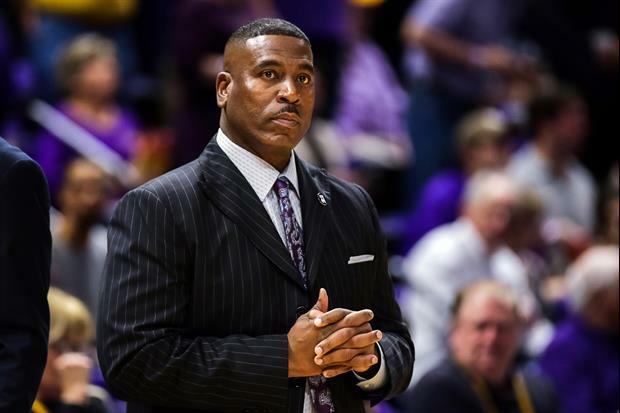 Multiple sources are reporting that LSU assistant coach Tony Benford, who served as the interim coach since March 8 when Will Wade was suspended, will join Buzz Williams' staff at Texas A&M. Williams was hired at Texas A&M on Tuesday morning. Benford served as an assistant coach under Williams at Marquette from 2008-2012. Dude was trash as an “acting”head coach. Talent carried LSU after WW was wrongfully suspended. This guy just sat back and had a temper tantrum every so often to make people think he knew what he was doing. Not a big lost! He proved he is not head coach material! And Alleva and King both STILL have jobs. This fricking state of backward arse leadership. The are evacuating the ship faster than the Titanic no rescue boat in sight the Captain Will Wade was the first to leave the sinking ship LSU. This is not a good sign. This is not good at all. He must know something big is about to happen. Or Benford is going to work for someone he has referred to as a close friend. He worked for him for 5 years at Marquette, this is not an indication of anything more than that. The reality is Wade was not likely to keep Benford, they had at least two arguments on the bench during SEC play. Oh please, if you didn't know whether your boss was being fired you would look for a more secure position also. Pretty sure that the guy that got fired from Johnny Jones old school was not going to be made head coach if Wade does not come back. He doesn’t know anything including coaching the game of BB. Not a loss at all. Where is the disgraceful will wade aka fredo i'm smart corleone.did someone put a bullet to the back of that moron head. Homeless1, Is this English? You have to be a gump fan. Probably typed this while lying next to your sister. Tony Benford did something right to have been part of Will Wade's staff, and big thank yous to him for stepping up in a terrible situation. Best to him as he reunites with a former boss. While I am glad that he is not here to be Aleva's default choice, I appreciate his taking on a thankless task for LSU. Best to you, Tony. He must have read the comments on TD. ATM comes after LSU staff again and Alleva and King just take it. Time to go after their AD. so you want Alleva and King to go after their AD ....??? No baw. Send JA and the King down the river, then bring our boy home. Ohhh no! What about “The Search”??? This is not a "bad sign" or any indication as to Wade's situation. Benford worked for Williams for 5 years at Marquette and was going to take this job regardless of what happened at LSU. Appreciate what Benford did for LSU and wish him the best. Can someone please explain aTm's obession with hiring or going after our coaches? It's not our coaches, it's hiring people away from SEC West schools and the reasons are self-evident. Explain. Because you make no sense. Uh-oh Joe. Who are you gonna hire when you fire Will to save face? Could it be that King and Joe do not want a Final Four basketball program at LSU to compete for attention with LSU Football?